“For every dollar invested in the community college system, the return on the investment is four-dollars and eighty-six cents. That’s a worthwhile investment if you’re just talking about an investment but what about the people?” asked Smith. 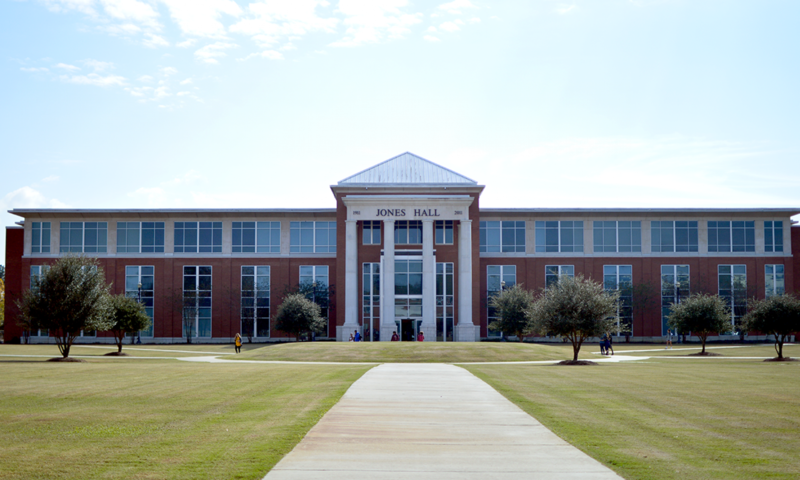 Long lists of facts were shared with the crowd, like Mississippi ranks 4th in the nation in the percentage of students who transfer from community colleges to four-year universities, beating the national average by eight-percent. In 2017, Community/Junior college students earned 20,432 degrees, certificates and awards which is a 42-percent increase over 2011. In regards to economic development, community colleges served 551 companies with workforce training. Northwest Community College’s Adam Conner has experienced similar disappointment when he had to quit college the first time he took classes at Northwest because of difficulties in chemistry. When he tried to return a year later, he learned he was not eligible for the Pell Grant. Conner didn’t feel financially apt as an 18-year-old to take out a loan so he waited until he turned 24 to be eligible for aid as an independent student. Without more support for community colleges, Dr. Jim Haffey is concerned more people will be dependent on the state. 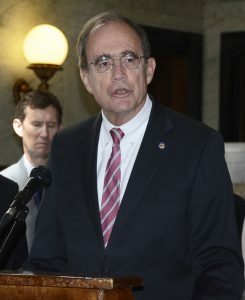 The MACJC Legislative Co-chair and Holmes Community College president shared his mother’s story. She earned her nursing degree at Hinds Community College after 20-years of raising kids and being a housewife. He calculated a 1,600 percent return on the states’ investment into her education from the state taxes she paid over the 26-years she worked at a rural county hospital. Haffey is challenging legislators to provide support to anyone who wants an education can be served. 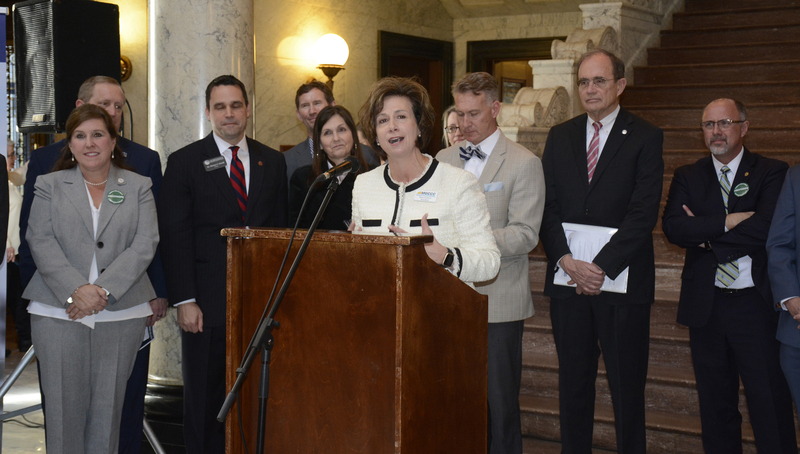 Dr. Andrea Mayfield, the Executive Director of the Mississippi Community College Board added community colleges are the best value for the taxpayers and individuals seeking an education. While the successes of community colleges are abundant, administrators are faced with the challenge of funding a system that continually lacks support from legislators. For every dollar spent on education, only seven-cents go to community colleges with 18-cents going to the Institutes for Higher Learning, and 75-cents fund kindergarten through 12th grade. Community college leaders are asking for legislators to spend a dime of every dollar to educate the 100,000 students and the additional 70,024 individuals seeking skilled training. 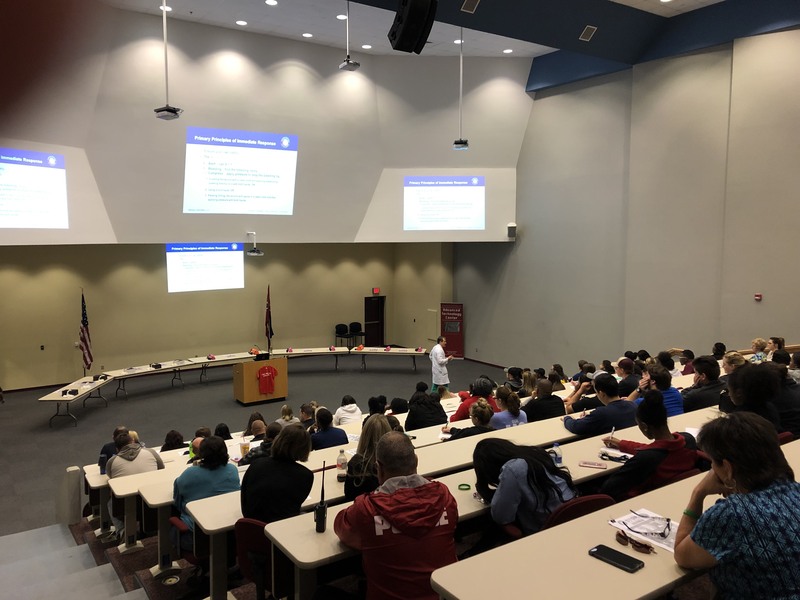 Dr. Duncan Donald, chief of Trauma Services with Forrest General Hospital, and the Trauma Service Team were on the JC campus to deliver the Stop The Bleed Campaign to faculty, staff and students on Monday, February 25, 2019. This is an informative presentation for medical and non-medical personnel to provide education on how to help an injured victim that is bleeding. 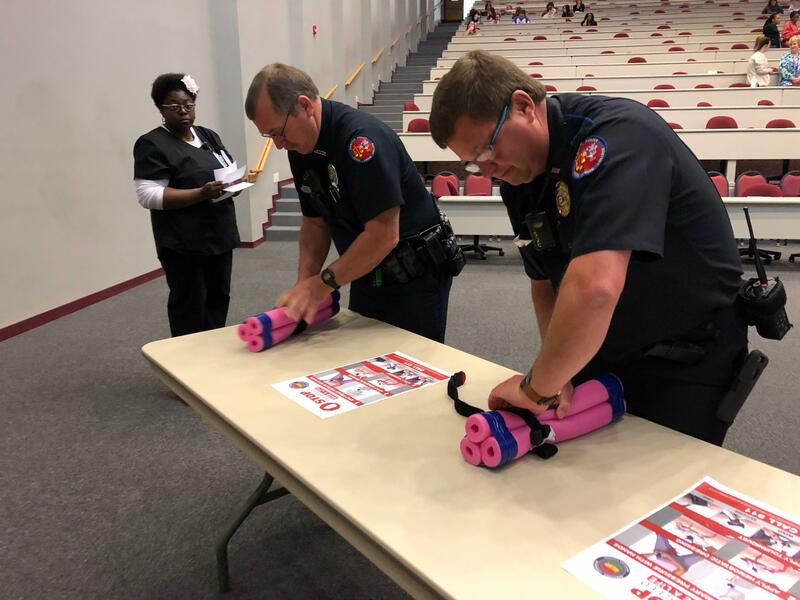 The training includes how to pack a wound and how to use a tourniquet effectively to safe a live and/or limb or someone who has sustained a traumatic injury. 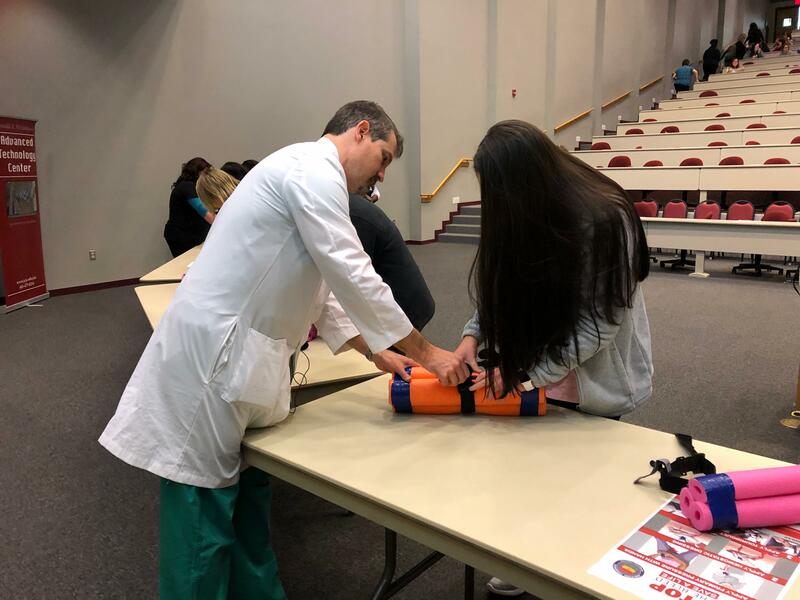 Jones College faculty, students and staff heard a presentation by Dr. Donald and participated in a hands on demonstration of wound packing and tourniquet use. Two hundred and thirty eight participants from AD Nursing, Radiography, LPN, HCA, Physical Plant, Welding, Housekeeping, Campus Police, SGA, Housing, and Enrollment Services participated. Thank you to Dr. Donald and his Trauma Services Team for a great, informative presentation! ELLISVILLE –Jones College’s music instructor, Dr. Lindsey Keay has been selected as the JC 2018-19 Mississippi Humanities Teacher of the Year. She will be honored by the Mississippi Humanities Council and the college on Tuesday, March 5, at 10:30 a.m. in the M.P. Bush Fine Arts Auditorium. The public is invited to see Dr. Keay’s free flute performance and presentation, “In the Zone: Flow of Music,” which will explore our intrinsic motivation to function at our finest. Dr. Keay’s fascination with determining what prompts us to succeed with the ultimate desire to find ways to motivate students became the key to earning her doctoral degree. “My doctoral theses explored the abstract, intangible feeling that drives us to engage in an activity, which often leads to sacrifice, for the sheer joy of doing that activity. It is the balance of what someone is able to do and what they can achieve by practice. It’s also a balance between challenge and skill. I wanted to know what drives musicians to do what they do, which often seems boring to others. However, for musicians ‘in flow,’ achieving that optimal state of joy and satisfaction is what sometimes pushes them to continue,” said Dr. Keay. “Dr. Keay is an invaluable asset to Jones College. Her devotion to academic quality and student achievement is matched by her willingness to always go above and beyond to motivate students to be their best. She is guided by a sense of purpose that is evident in all she does. She is an inspiration to all of us,” said Jones College Dean of Academic Affairs, Dr. Jason Dedwylder. The Mississippi Humanities Council will recognize Dr. Keay as JC’s Mississippi Humanities Teacher of the Year during this special presentation in Ellisville, and again in Jackson at a banquet where she will receive a cash award and a plaque. “I am honored and humbled because there are a lot of fantastic faculty members doing a lot of awesome things at Jones. I’m grateful to be nominated and I am looking forward to sharing some of my research on the psychological theory of ‘flow’ and how it pertains to music,” said Dr. Keay. Director of Bands at Jones, Dr. Ben Burge said Dr. Keay is very deserving of the recognition from the Mississippi Humanities Council. The former Canadian and Houston, Texas native, Dr. Keay is a blessing to all the band members she is associated with. “Lindsey is the consummate professional. She is a vital part of every success we have in the band department at Jones. She provides a wonderful example to our students and she goes above and beyond in her teaching every single day. She has extraordinary talent and is a remarkable flutist. Jones College is lucky to have someone of her musical expertise and devotion on staff. I am proud to be her colleague and friend,” said Dr. Burge. 2015 Mississippi Humanities Teacher of the Year, fine arts department chair and art instructor, Mark Brown, also acknowledges, Dr. Keay is vital to the success of the fine arts division. “It is evident Dr. Keay cares about her students and takes pride in their achievements while demanding no recognition for herself. 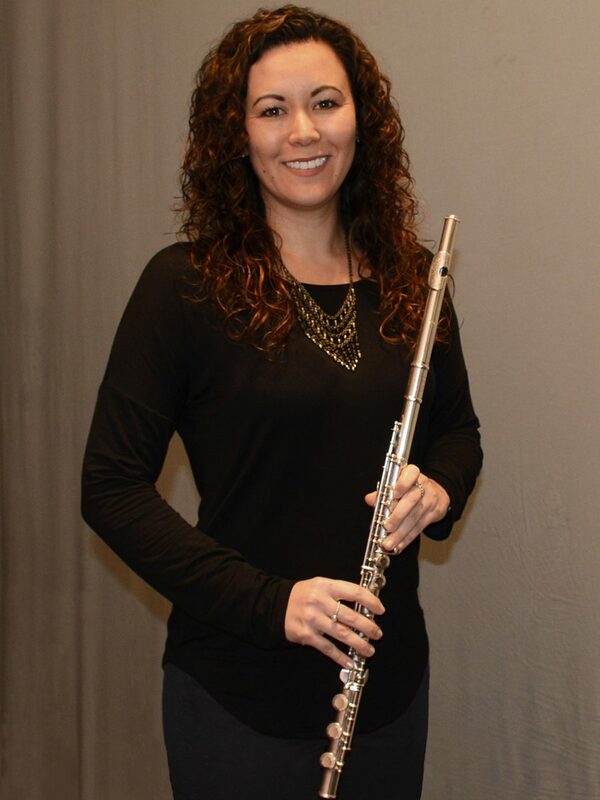 She is a supportive colleague and plays the flute as beautifully as anyone I’ve heard,” said Brown. Dr. Keay’s responsibilities besides being the assistant band director and flute instructor at Jones include, working with the Maroon Typhoon, Concert Band, JC Pep Band, JC Flute Choir, JC Percussion Ensemble, teaching music appreciation, giving lessons at South Jones High School, and she is a member of the USM Steel Drum Band. She also is a member of five symphonies in the region in Baton Rouge, the Mississippi Gulf Coast, Meridian, Mobile, and Tupelo’s, North Mississippi Symphony. Additionally, she was invited to teach at a South American masterclass and give a symphony performance of a rarely played piece of music on her piccolo for the first time in Cartagena, Colombia, South America as part of the music festival and clinic at the Unibac. The accomplished flutist attributes her introduction to the flute to her mother. “Shortly after we moved from Calgary, Canada to Houston, my mom encouraged me to join the band as I entered sixth grade. She played the flute so I wanted to play the flute too,” said Dr. Keay. What began as an introduction to music on the flute has turned into a career in music that has lasted decades. The current Hattiesburg resident is completing her fifth year at Jones College with previous teaching experience at Bedichek Middle School in Austin, Texas, as a graduate assistant at USM, and as an instructor of music education at Southeastern Louisiana University in Hammond, Louisiana. 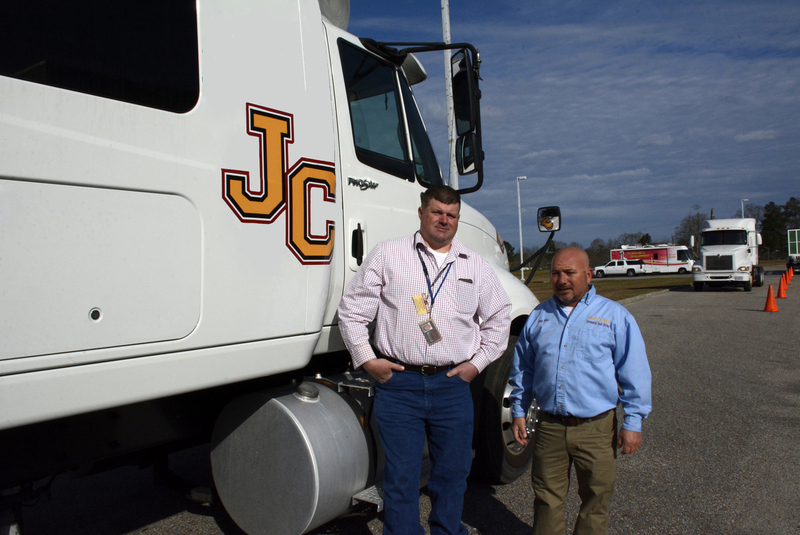 ELLISVILLE –The Foundation for the Mid South’s $46,000 grant has helped Jones College’s commercial truck driving program go into “overdrive.” One of the goals of the Foundation for the Mid South grant is to help fill the demand for more truck drivers. “According to the Foundation for the Mid South, more than 11,000 truck driver jobs are available in Mississippi. 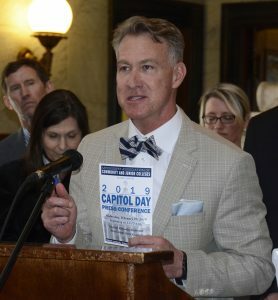 Their intent is to bridge the gap between our programs and the areas of need in the state,” said Jones College’s Grant Coordinator, Dr. Mike Cole. The majority of the grant has been used to help the Jones commercial truck driving program in various ways said Jones commercial truck driving instructor, Billy Miller. Jones will also be offering commercial truck driving in all four of the college’s county centers located in Bay Springs, Leakesville, Stonewall and Waynesboro, as well as the main campus in Ellisville. Additionally, some of the grant money will be used to support students and other skills-pathway options for students at Jones. 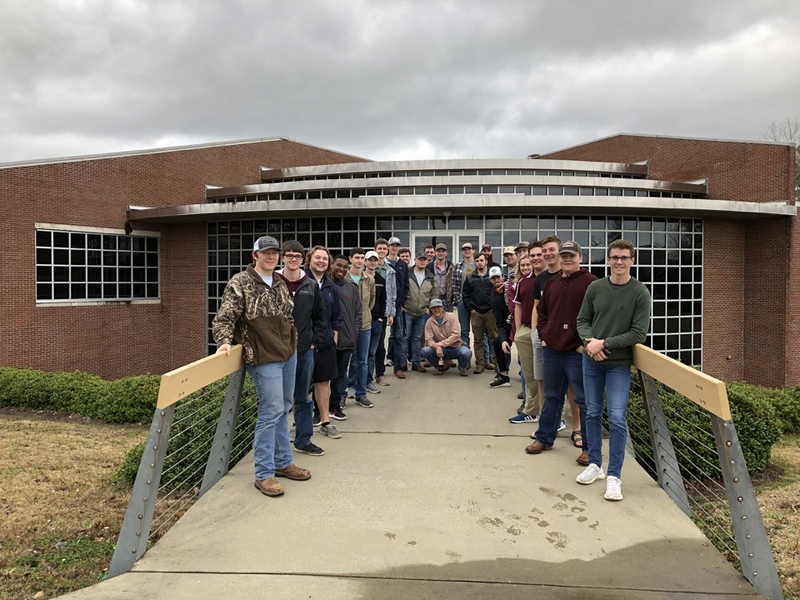 ELLISVILLE – Twenty four of Jones College’s engineering majors toured one of the state’s renowned engineering facilities at Mississippi State University. In addition to being able to tour the Bagley College of Engineering, students toured the Center for Advanced Vehicular Systems (CAVS) and the High Voltage Lab at MSU. Exposing students to their future professors and university facilities helps them find the best college to fit their needs. This is 19th-year Boleware has taken Jones students to tour the college of engineering at MSU. Students met with faculty and MSU students in various areas of engineering. At the CAVS, they were introduced to areas of research including the Eco Car and the Car of the Future, a 3D metals “printer”, and the virtual reality labs. While at the High Voltage Lab, Jones students enjoyed demonstrations of lightning strikes and other electrical engineering displays.